Manchester United legend Rio Ferdinand has urged Jose Mourinho to give Jesse Lingard more playing time on the pitch. Ashley Young may have stolen the headlines with his wonderful brace during Manchester United’s 4-2 victory over Watford at Vicarage Road on Tuesday night but arguably the man of the match for the Red Devils during the encounter was Jesse Lingard. 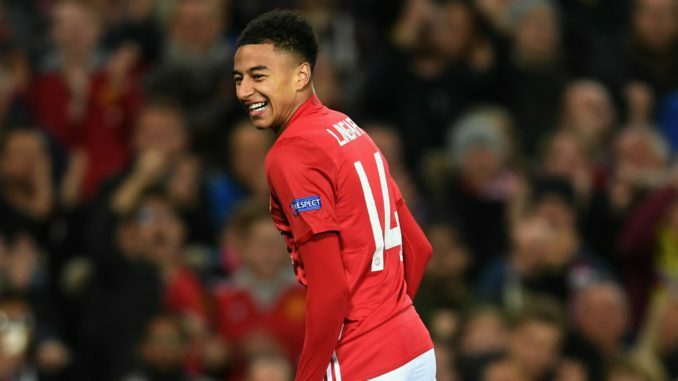 Lingard scored a stunning solo goal which sealed the win for United but even more impressively, it was his constant movement off the ball that wreaked havoc on the Watford defence. On the evidence of the clash on Tuesday, it seems that Lingard’s presence in the team helps United stretch their opponents and now club legend Rio Ferdinand has urged Red Devils’ boss Jose Mourinho to hand more regular minutes on the pitch to the England international in the upcoming matches. Ferdinand said, “Great goal. Me and Scholesy were talking about it, we’ve seen him grow up at the club. He’s got this in his locker, he’s got goals, he’s a very intelligent footballer.